First Corinthians 12 is but one of several passages that tell us God has given at least one spiritual gift to every single person whom He calls, which gift is to be used to build up the body of Christ. Whether the gift is encouragement, teaching, hospitality, discernment, or any of the host of other talents granted to the Lord’s people, there is no such thing as a believer who has no spiritual gift. This means that we are in sin if we do not use our gifts, for loving one another involves using our gifts to benefit others (1 John 3:16–18). In today’s passage, Paul has this theme in mind when he tells Timothy not to neglect his gift (1 Tim. 4:14). The apostle does not specifically name the gift he has in mind here, but it is safe to say that at least one of Timothy’s gifts is teaching, for that is the office to which he has been called (v. 13). Also, we should not think that Timothy’s gift has fallen into disuse at the time he reads the letter. In fact, it may be that Paul also encourages Timothy not to neglect his gift to remind the leaders in Ephesus of the younger elder’s authority. Remember that Timothy has been sent to Ephesus to clean up the spiritual mess there (1:3–4), and the leaders who will undoubtedly also read this epistle will find in 4:14 a reassertion of Timothy’s calling and, therefore, their need to listen to him. Timothy was given this gift through the prophetic laying on of hands of the elders. He did not necessarily lack his gift before this event, but on that occasion the people of God formally recognized the young man’s call. Throughout history the church has laid hands on people in recognition of their call to service (Deut. 34:9; Acts 13:1–3). Such is the practice for any work in the church, but especially when it comes to ordained ministers. Men are never to be chosen for the pastorate based solely on their own personal sense of the Lord’s call; rather, the church is to confirm that God has indeed chosen the candidate for ministry. Matthew Henry comments that “the gifts of God will wither if they are neglected.” Empowered by the Spirit, all believers, pastors or otherwise, must serve one another with their gifts so that the church may recognize our callings and see us mature in our individual ministries (1 Tim. 4:15). 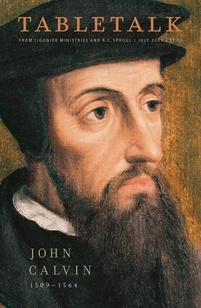 John Calvin writes, “To neglect a gift is carelessly to keep it unemployed through slothfulness, so that, having contracted rust, it is worn away without yielding any profit.” Some of us know what our gifts are but are not using them. This slothfulness should cease immediately. Some of us do not know our gifts. Talking to one’s pastor, mentor, or teacher can help us learn where God has equipped us for service. Exercising our gifts is non-negotiable.